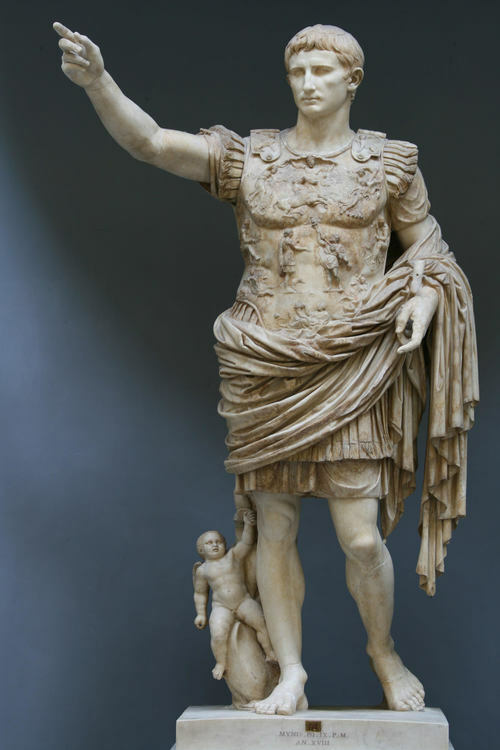 Emperor Augustus (27 BCE – 14 CE) accomplished much during his time on the Roman throne, far more than many of his successors. According to historian Mary Beard in her book SPQR, he transformed the structures of Roman Empire, including its politics and army as well as the appearance of the city itself. Unlike many of his successors who would succumb to an early death (by his own hands or someone else’s), Augustus was able to survive into old age, long enough to write a personal history of his reign Res Gestae divi Augusti or Acts of the Divine Augustus. Near the end of his long life, the emperor penned two simple sentences summarizing his time on the throne, “I found a city built of sun-dried brick. I leave her clothed in marble.” There are those, however, who believe that his success was partially due to not only his long life but also his ability to make essential changes. The lengthy civil wars had finally ended. Mark Antony and Cleopatra had been soundly defeated. Lepidus was in exile. Octavian, the step-son and heir of Julius Caesar, marched into the city of Rome a hero. Although entering a champion, he was faced with a difficult task of rebuilding a fallen city, but the Roman Senate had their savior and rewarded him handsomely, giving him the name and title of Augustus. Over the next four decades, his reforms would transform a city and an empire. Augustus learned from the experiences of his stepfather, rejecting the title of dictator; he did not want his life to end in the same manner. To some, mostly his detractors, he would endeavor to maintain the illusion that his authority, his power, was derived from and dependent upon the will of the people. To maintain this idea, he would hold a number of successive consulships, ending in 23 BCE after a brief illness. To the citizens of Rome, he became pater patriae or father of the country. 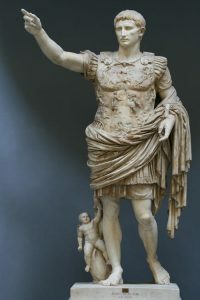 In actuality, although he would give credence to the Senate, power was gradually taken away from the people, the popular assemblies became meaningless, and while the Senate was given sufficient honors and respect, they became only an extension of the emperor’s administration in service to Augustus. Rule was concentrated into one man, the emperor, supremacy at home and abroad. Shortly after his appearance before the Senate in 27 BCE, the new emperor left Rome for Gaul and Spain not returning until 23 BCE. During his absence, he forced the submission of a number of rebellious tribes across the Alps, and many provinces throughout the empire soon learned to live in peace with Rome, the Pax Romana. While his primary goal was to maintain loyalty, Augustus’ trips through the empire showed the provinces that Rome “ruled the world.” Unfortunately, during his reign, Augustus failed to expand the empire any further than it had existed during the Republic. Upon his return to the city, the emperor embarked on the reforms that would change both the city and empire, establishing a precedent for those who followed. Two new Julian laws, later to be revised, were enacted in 18 BCE, targeting both women’s fidelity and the birthrate; lex Julia de adulteriis coercendis made women’s adultery a criminal act and lex Julia de maritandis ordinibus (later revised in 9 CE as lex Papia Poppaea) penalized unmarried men and childless couples in an attempt to increase the birthrate. Oddly, the revision of this latter law was brought about by two unmarried consuls, Marcus Papius Mutlius and Gaius Poppaeus Sabinus. Also, almost in violation of his own law, although Augustus had a daughter by his second wife, he and his third wife Livia (she had two sons from a previous marriage) were childless. Along with his emphasis on the moral deterioration of Rome, Augustus addressed the need to reawaken the importance of religion among the citizenry. During the lengthy civil wars, many temples throughout the empire had fallen into decay, and people had apparently lost faith in the old gods. To Augustus, a restoration of the “old religion” and a renewed trust in the traditional gods would help restore the confidence of the people. He saw to a return of many of the old, popular festivals and increased the number of public games, reinstituting the Secular Games or Ludi Saeculares in 17 BCE. In his first year alone, he rebuilt or repaired 82 temples, including, in Rome, the Temple of Jupiter on the Capitoline Hill, the Temple of Apollo on the Palatine Hill, next to his personal residence, and the Temple of Mars Ultor located in the new Forum of Augustus. 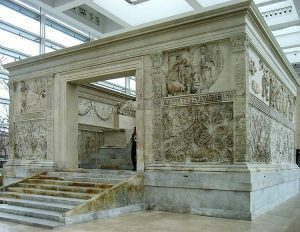 Lastly, to symbolize his successes in Spain, the Senate commissioned, in July of 13 BCE, the erection on the Campus Martius of the Ara Pacis Augustae the Altar of Augustan Peace. In 12 BCE Augustus had made himself, upon the death of Lepidus, the Pontifex Maximus or chief priest, and later, after his own death an imperial cult would be established, the idea of the deification of the emperor. Although he resisted the Senate’s attempts to name him a god during his reign, upon his death, the Senate rewarded him with deification, an honor that would be given to many of his successors. His wife Livia would even reward a man who swore he saw the emperor ascend skyward. Augustus imposed a regular census – the duty of the censor – to provide a fair assessment of the provincial tax burden, resulting in a fairer collection of tax revenue. 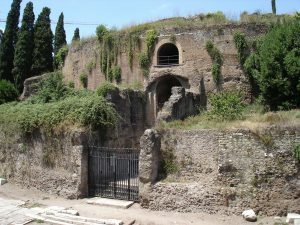 Another major change concerned the Roman treasury, the Aerarium, located at the Temple of Saturn in the Roman Forum on the Capitoline Hill. It was managed by two praetors. Augustus provided for a complete reform of the financial structure. The central treasury was linked to the treasuries of all provinces. Together with the expansion and improvement of Roman coinage, two new taxes were created – a poll tax and a land tax – which completely funded the imperial system. This new system provided a stimulus to trade throughout the empire, leading to stability, security, and prosperity. Of course, Augustus made sure his image was on all the coins. Together with his good friend and fellow commander Marcus Agrippa, who also happened to be the second husband of the emperor’s daughter, Augustus created order throughout the empire. Until his early death, Agrippa often managed city affairs when the emperor was away from Rome. Many of their reforms brought about a more efficient bureaucracy and an end to much of the corruption that had existed since the days before the civil wars. Although Augustus left the local municipal governments alone, he divided the Italian peninsula into eleven departments; this change was made for more proficient census and tax collection as well as regulation of public lands. Rome itself was divided into 14 administrative agencies. The city’s districts or wards were placed under the jurisdiction of a supervisor who organized watchmen not only to provide warnings of fire hazards but also precautions against possible flooding. Likewise, they aided in cleaning the rubbish out of the Tiber River. To maintain the support and respect of the senators he awarded them with numerous honors even establishing a retirement age. Augustus made a number of other essential changes; to speed up communication throughout the provinces; he built relay stations for couriers and state officials complete with chariots and horses. He built a number of new roads and aqueducts, including Aqua Julia and Aqua Virgo. For the people of Rome and in honor of his nephew, he re-vamped the Circus Maximus. To supervise many of these changes, the emperor established two senatorial commissions, curatores viarum which oversaw the maintenance of roads and curatores locorum publicorum which maintained public buildings and temples. Since there was no civil service, slaves and freedmen were used to provide routine tasks of administration. 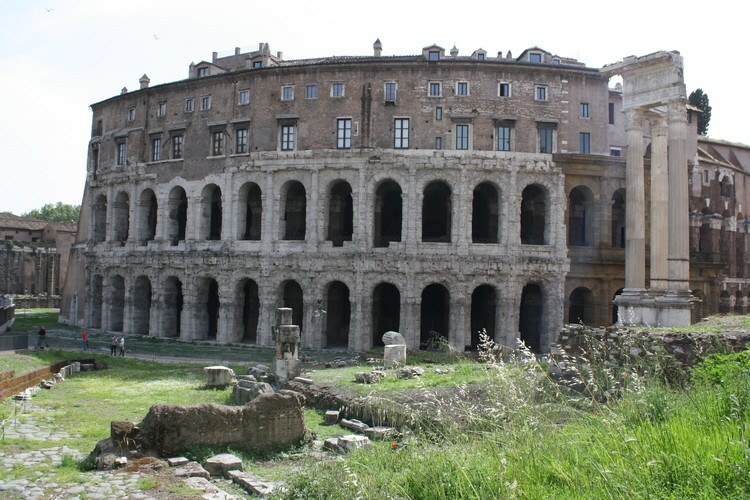 Augustus also believed that Rome should be a showplace, a symbol for all cities throughout the empire to emulate. 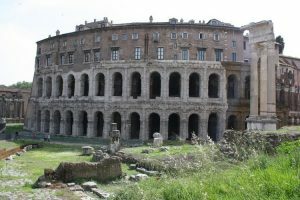 He saw to the building of a new Senate house, the Theatre of Marcellus, a public hall or basilica, new porticos and walkways, always using the best marble from northern Italy. Despite this rather dismal review of his four decades, Augustus must still be remembered for having brought the empire out of the aftermath of years of civil war when the city was in disrepair. He was the first emperor of Rome, and all others would be compared to him. Dennison, M. The Twelve Caesars. (St. Martin’s Griffin, 2014). Everitt, A. Augustus. (Random House Trade Paperbacks, 2016). Grant, M. The Roman Emperors. (Barnes & Noble Books, 1997). Potter, D. The Emperors of Rome the Story of Imperial Rome From Julius Caesar to the Last Emperor.. (Metro Books, 2016). Scarre, C. Chronicle of the Roman Emperors. (Thames & Hudson, 2012). Sommer, M. The Complete Roman Emperor. (Thames & Hudson, 2010). Suetonius. The Twelve Caesars. (Penguin Classics, 2007). 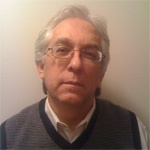 Tacitus. Annals of Imperial Rome. (Barnes & Noble Books, 1993). This entry was posted in Ancient, Augustus, History, Roman, Rome. Bookmark the permalink.